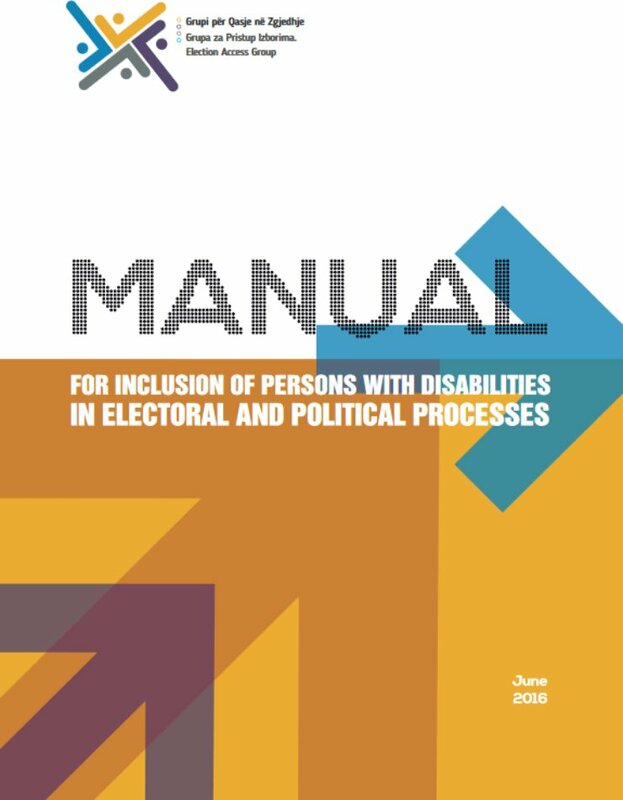 In 2016, the Election Access Working Group (EAWG), convened by the International Foundation for Electoral Systems (IFES) with partners such as the Central Election Commission of Kosovo (CEC) and disabled poeple's organizations (DPOs), produced a manual on inclusion of persons witih disabilities with the support of the United States Agency for International Developmet (USAID). "Manual for Inclusion of Persons with Disabilities in Electoral and Political Processes", aims to provide practical aid to public institutions, political entities and civil society in Kosovo to include persons with disabilities in political processes. In addition, the guide provides data on legal requirements related to access of persons with disabilities to public buildings.